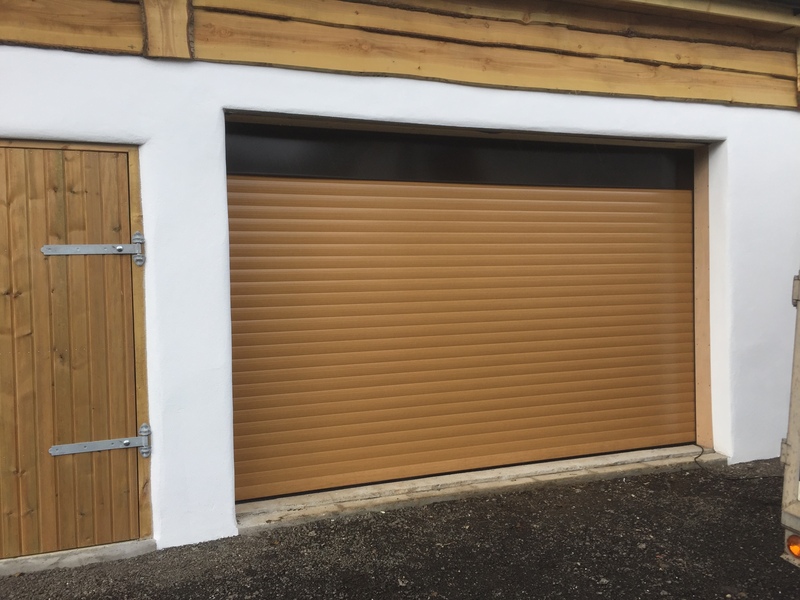 AlluGuard automatic roller garage doors are ideal for customers wishing to maximise drive through width & height, insulated door laths add warmth to the garage, ideal when your garage is attached to your home. 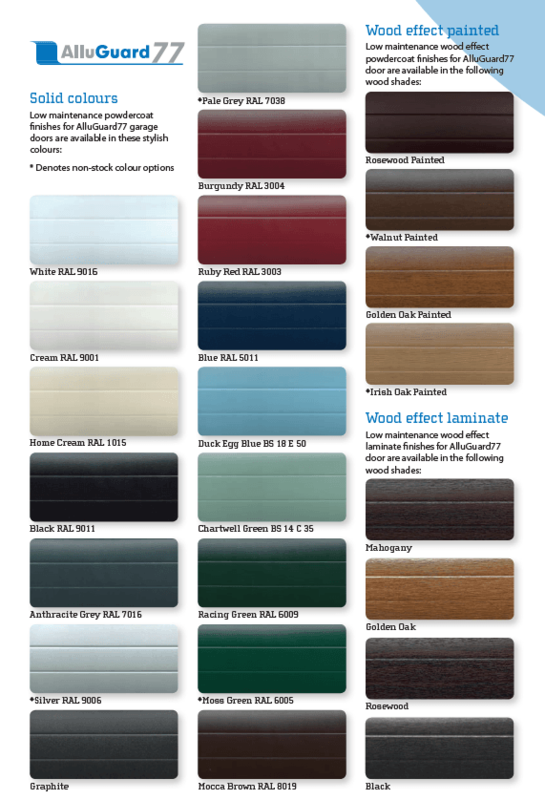 A choice of beautiful colours in both painted & laminated finishes to match &/or compliment your homes existing colour schemes. 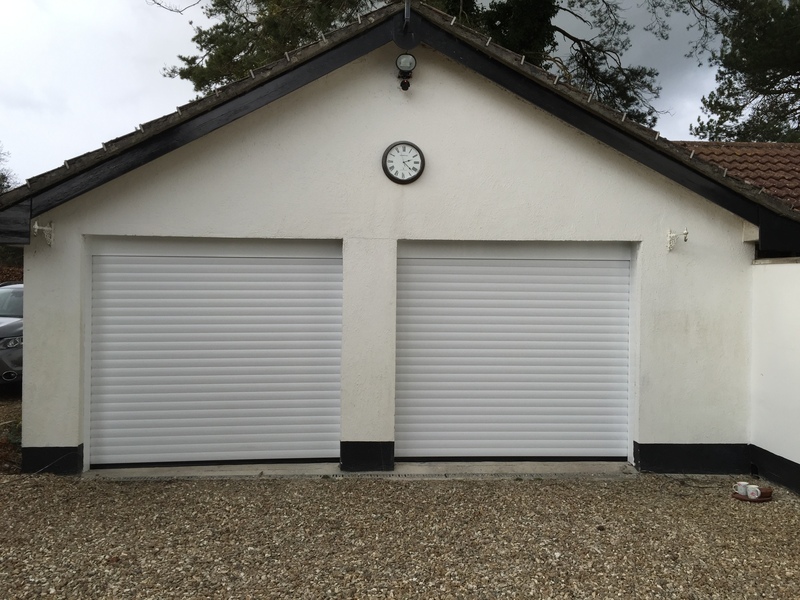 When we install new insulated roller doors, they normally replace an old up-and-over manual door, along with the old timber frame and fascia, the drafty gaps around the up & over door are soon forgotten once the new door is installed. 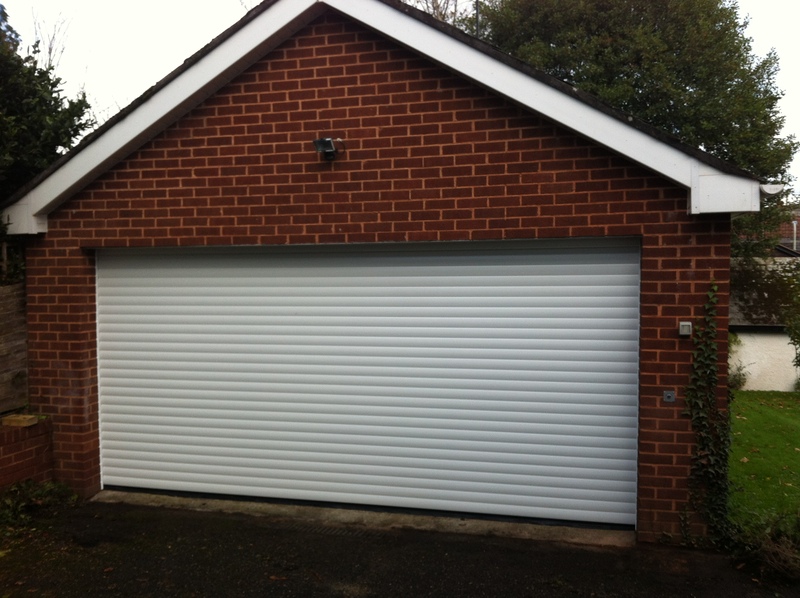 During the removal of you old door, frame & gear the whole garage door opening is taken back to the brickwork and old sealants, fixings etc are carefully removed before the new door is installed. 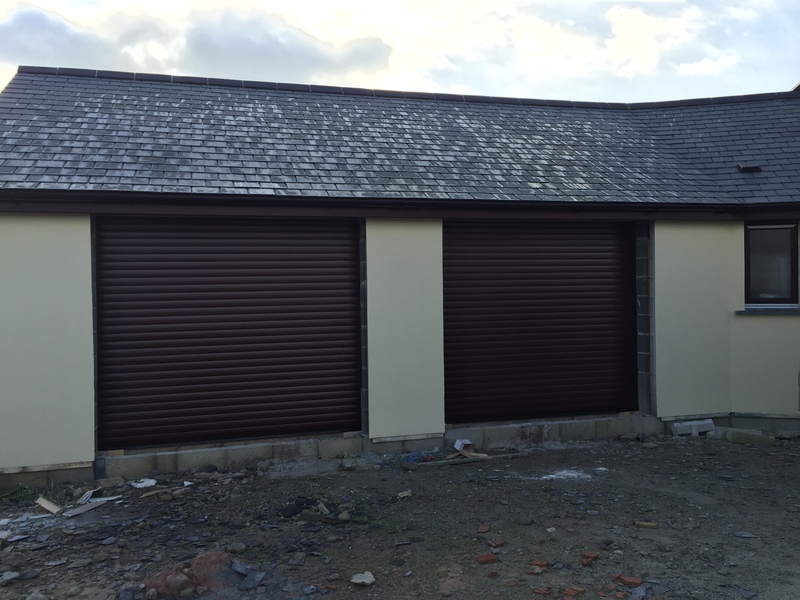 All of the door, lifting gear & timber will be removed from site & recycled too. 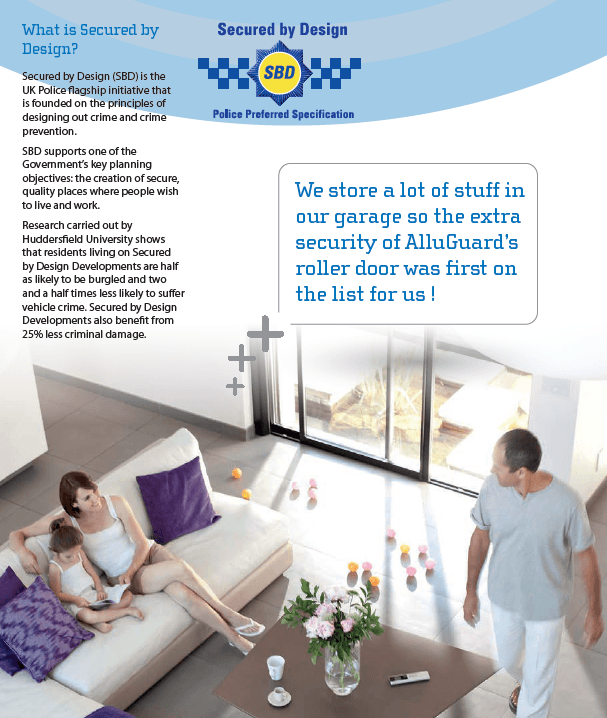 Whilst we recommend several roller door manufacturers, the reason AlluGuard roller doors are our main supplier is they meet Police preferred specification requirements, meaning they are Secured by Design accredited, ensures your new door is not only pleasing to the eye, but secure for peace of mind. 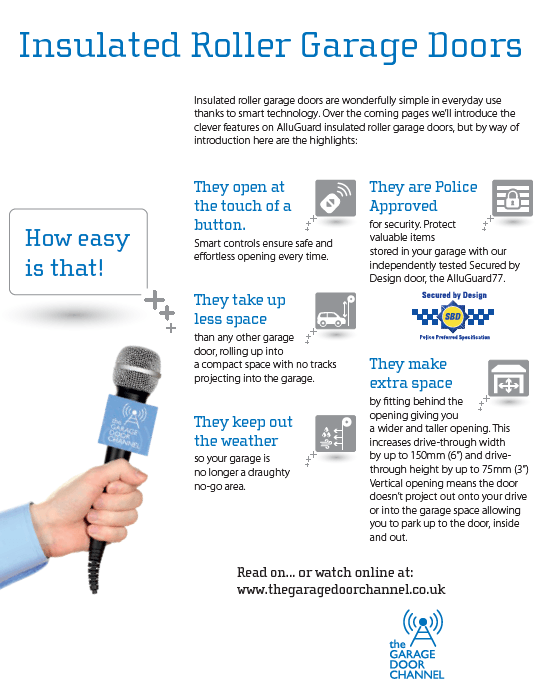 They also feature in integral alarm, which will only activate if the door is tampered with adding peace of mind that your garage is secure. 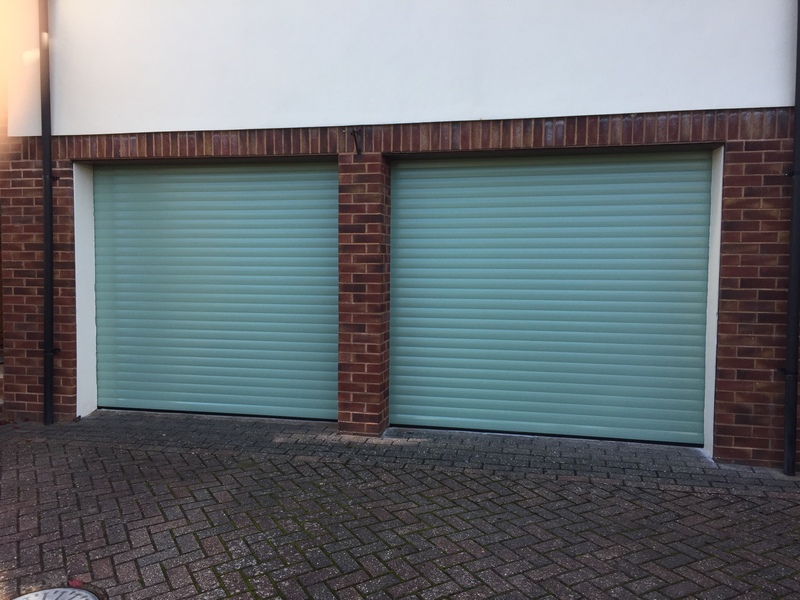 During the 2 year comprehensive guarantee period for roller garage doors and sectional garage doors, AlluGuard Doors Limited undertake to repair or replace (at its discretion), and without charge, products or components which have suffered any form of manufacturing defect. Claims must be notified in writing within 3 days from the date of delivery or within a reasonable time after discovery of any defect. 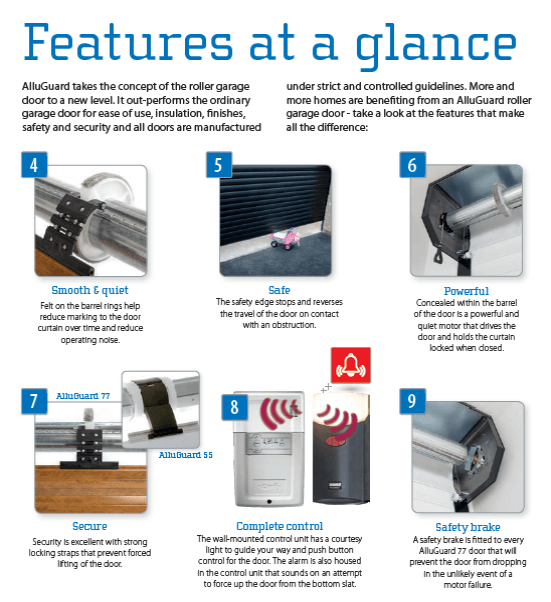 Products covered by these guarantees must have been purchased through an authorised AlluGuard garage door distributor or as original equipment attached to a newly built dwelling. 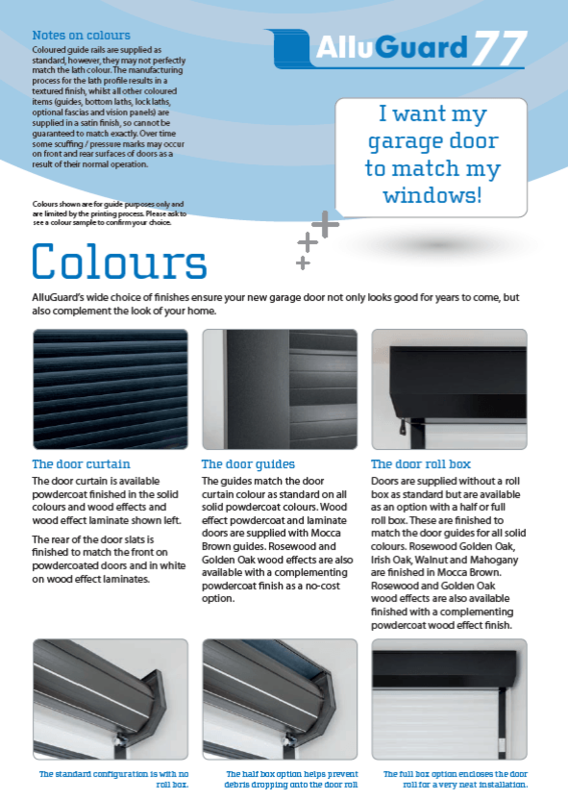 The warranties shall apply for normal residential garage door use only. Normal use constitutes no more than 6 operations (open/close cycles) per day. 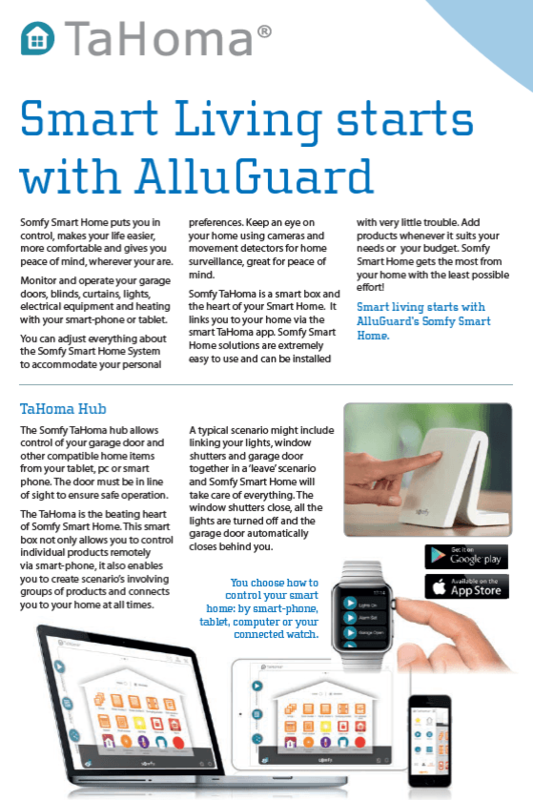 The warranties offered attach to the AlluGuard product only and no consequential damages will apply no matter how caused. 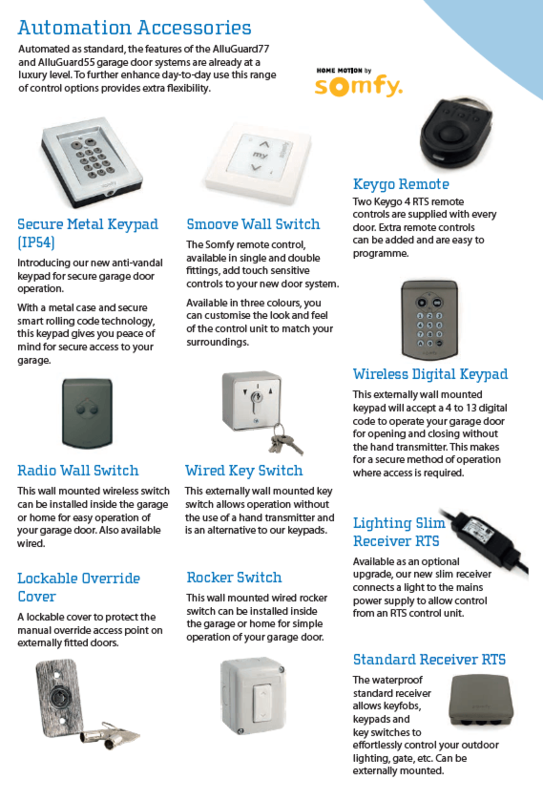 No liability will be accepted as a result of normal wear and tear, incorrect storage, incorrect handling, faulty installation, incorrect use, accidental or willful damage. 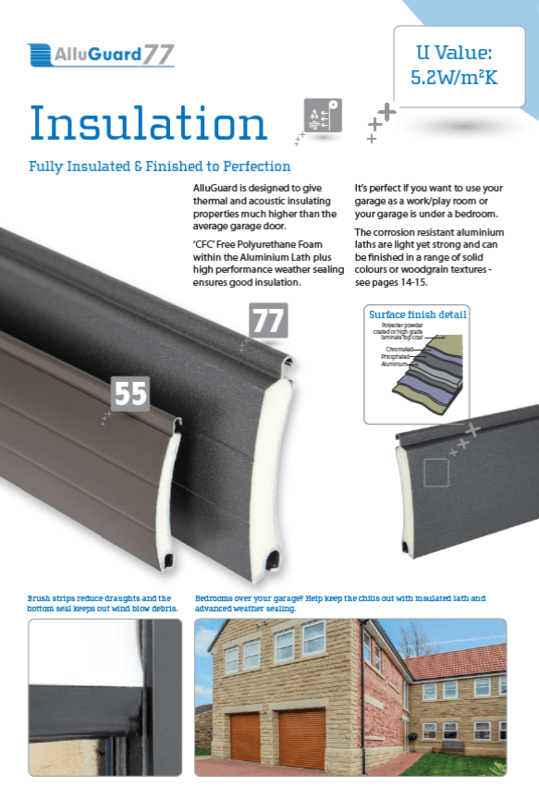 Claims under this guarantee must be made through the original supplier and accompanied by relevant documentation indicating the date of purchase (e.g. receipt) and photographic evidence where possible. 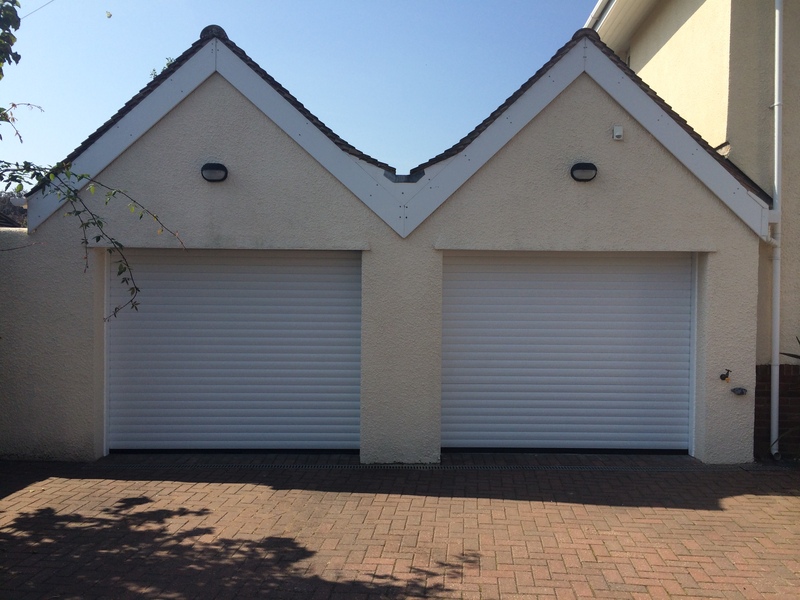 AlluGuard Doors Limited maximum liability shall be the original purchase price inclusive of Value Added Tax at the rate prevailing when supplied. 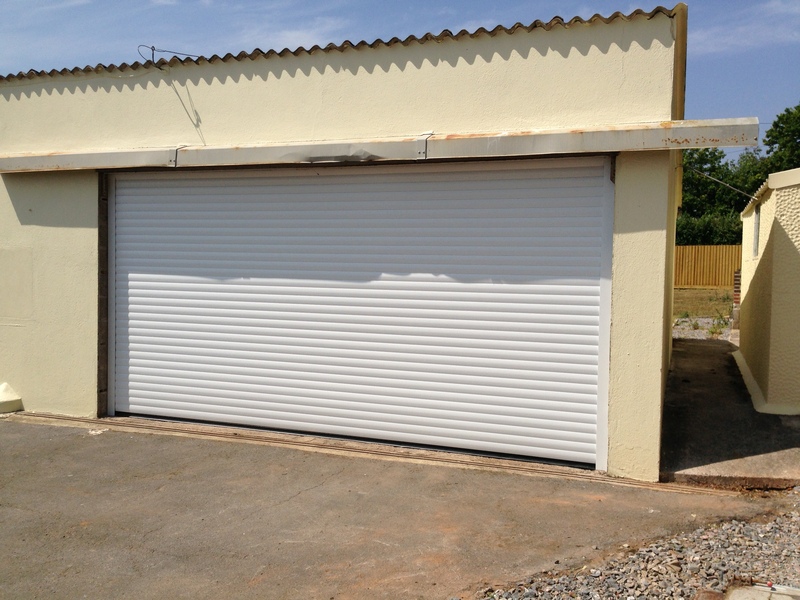 All Galvanised parts including the springs and spring shafts are also covered by the warranty with the same exclusions. 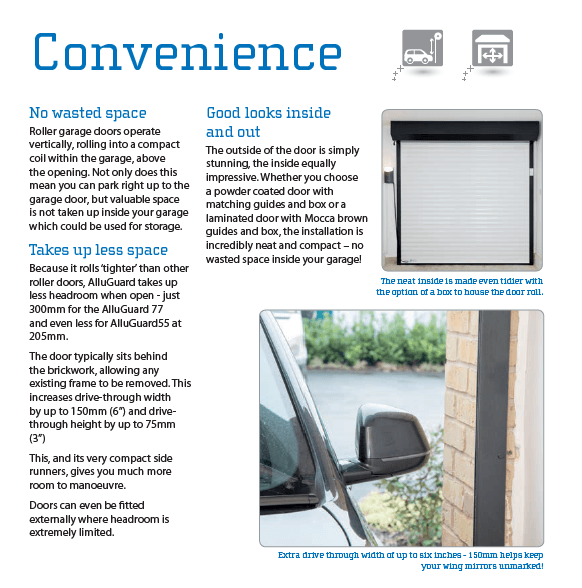 Must have been correctly installed in accordance with the installation instructions supplied (Additional copies of which are available on our website). 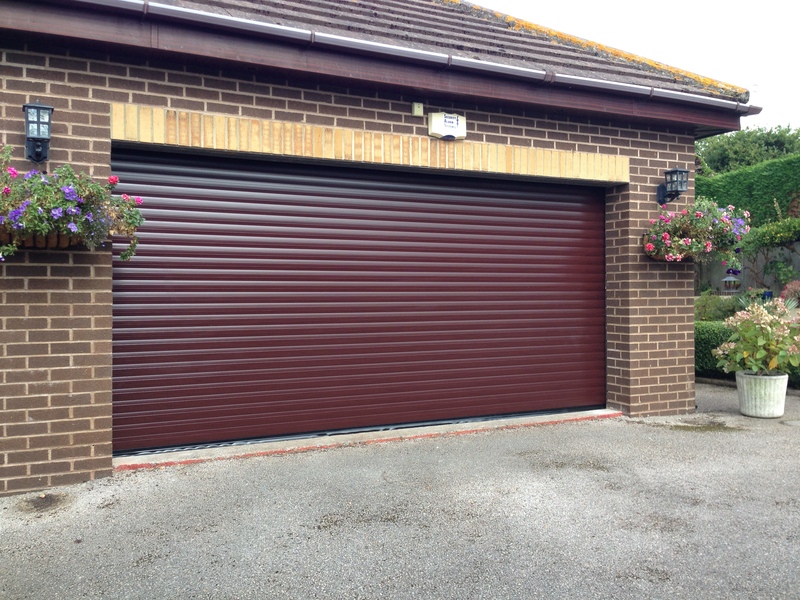 Must be maintained on a regular basis and serviced on an annual basis by a suitably qualified AlluGuard Approved Service Engineer who will also carry out a Safety Check in accordance with the terms as set out in the Machinery Directive. 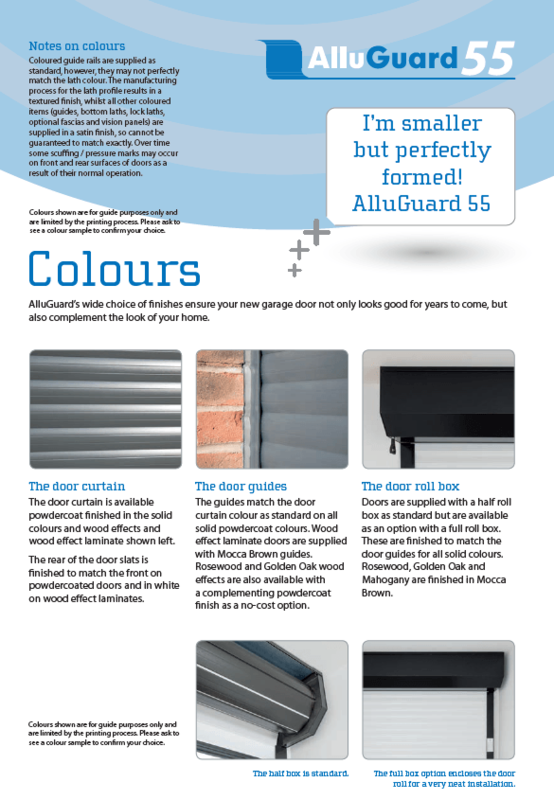 Contact AlluGuard for details of your local approved engineer. 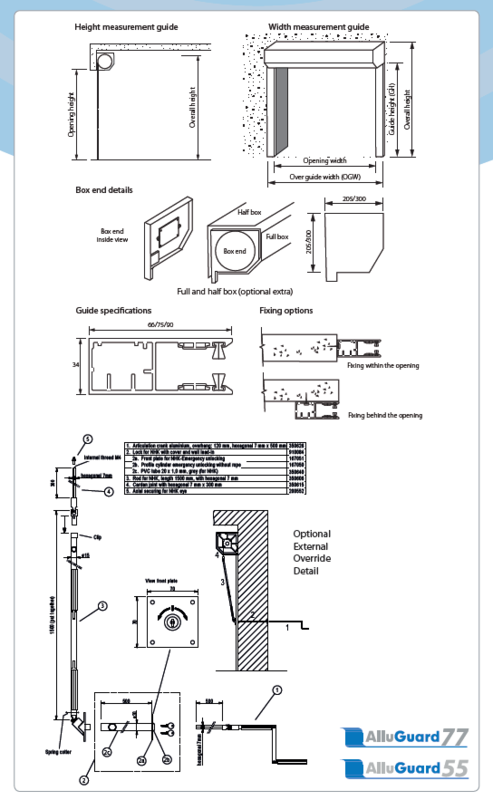 Impact or mechanical damage suffered during or following installation, e.g. scratches, indentations, tears, scuffs or other surface abrasion. 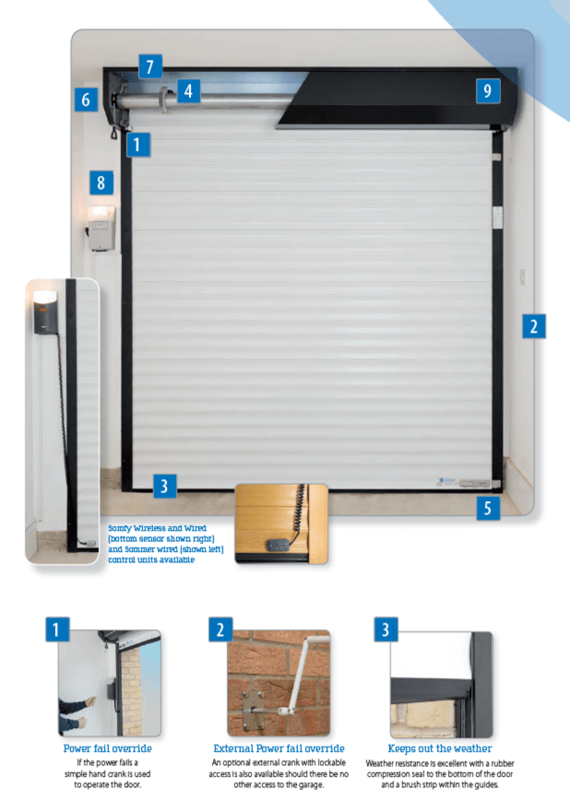 This guarantee excludes normal wear and tear on items such as brushes in the guides, end plate rollers on AlluGuard roller doors. 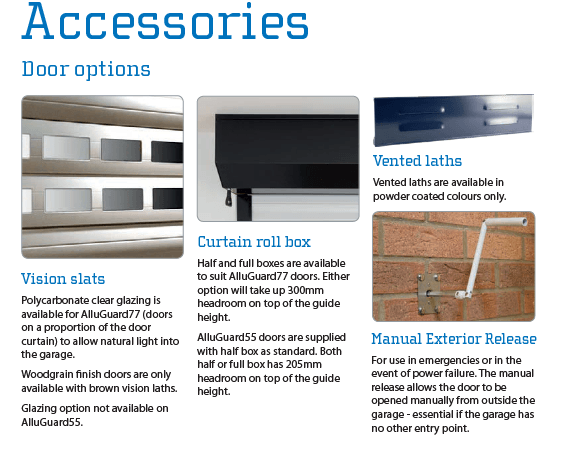 Only AlluGuard original spare parts must be used when required. 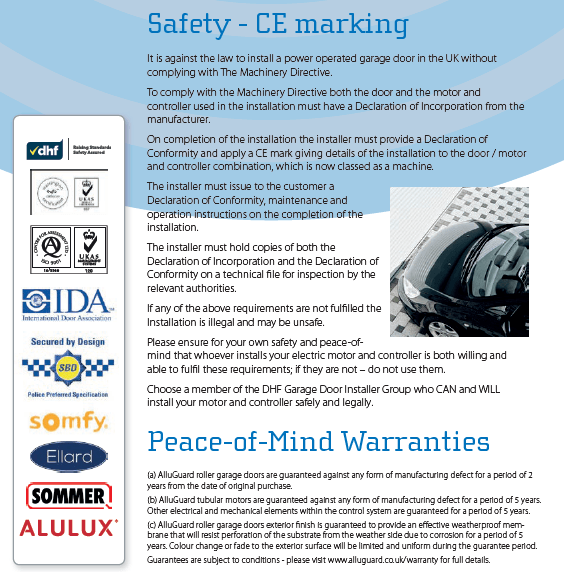 The use of non-AlluGuard parts shall invalidate this guarantee; the warranty period for replacement parts is 6 months or the balance of the original warranty period if greater. 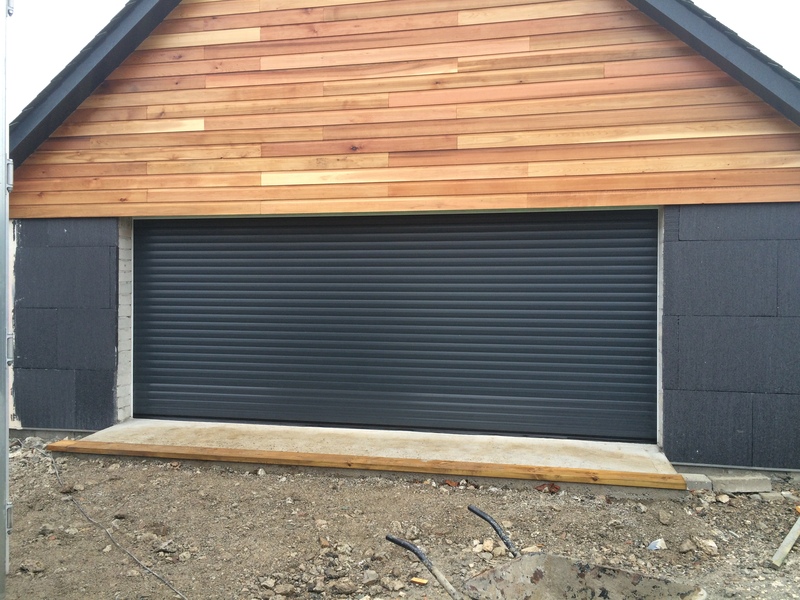 The Exterior Finish Guarantee applies only to the weather side surface and where more than 5% of the surface area of the door is affected. 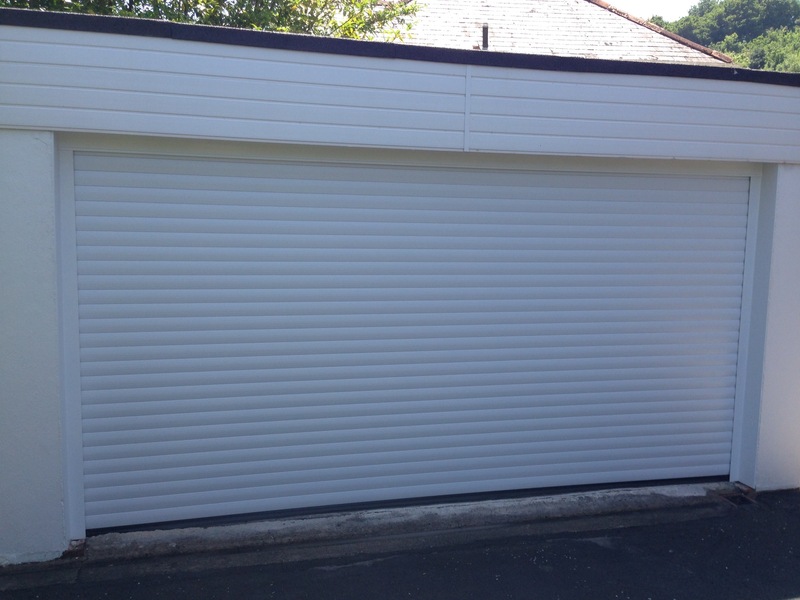 Surfaces must be freely exposed to washing by rainfall and kept clear of accumulated dirt and debris and given equal exposure to local environmental conditions and consistent natural lighting conditions across the face of the door. 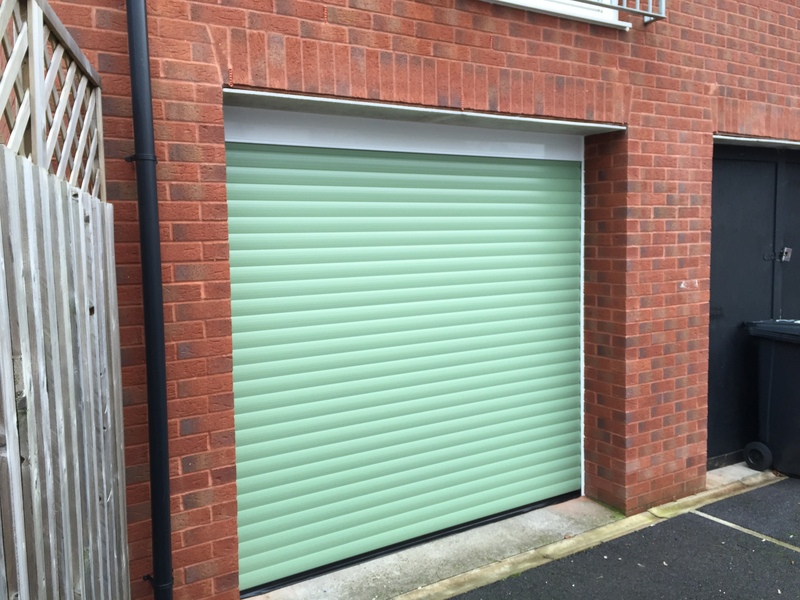 Scratches and marks to both sides of the AlluGuard roller door curtain are normal, therefore are not part of any warranty. Special attention is drawn to Clause (10) (ii). 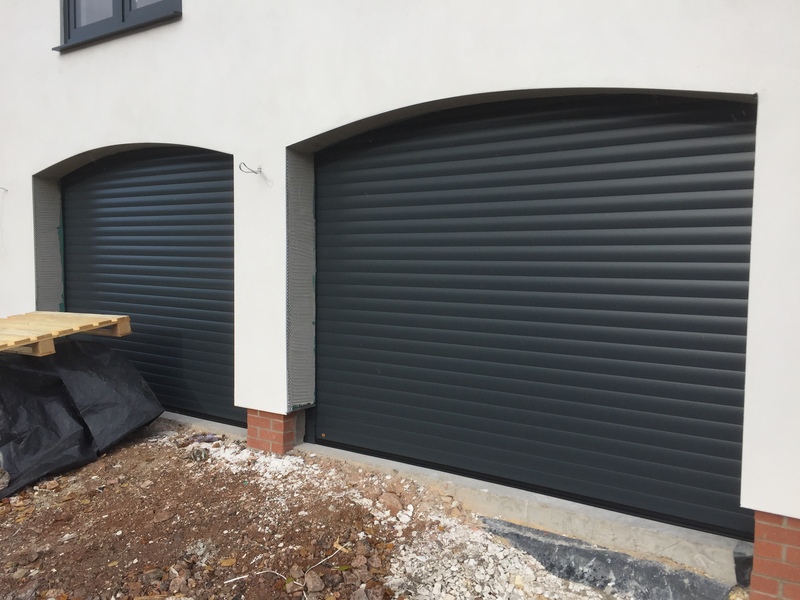 If all of the inclusions within this guarantee are followed and with the consultation of the manufacturer of the door material the exterior finish is guaranteed for 5 years from installation on AlluGuard roller doors and 10 years on AlluGuard sectional doors. 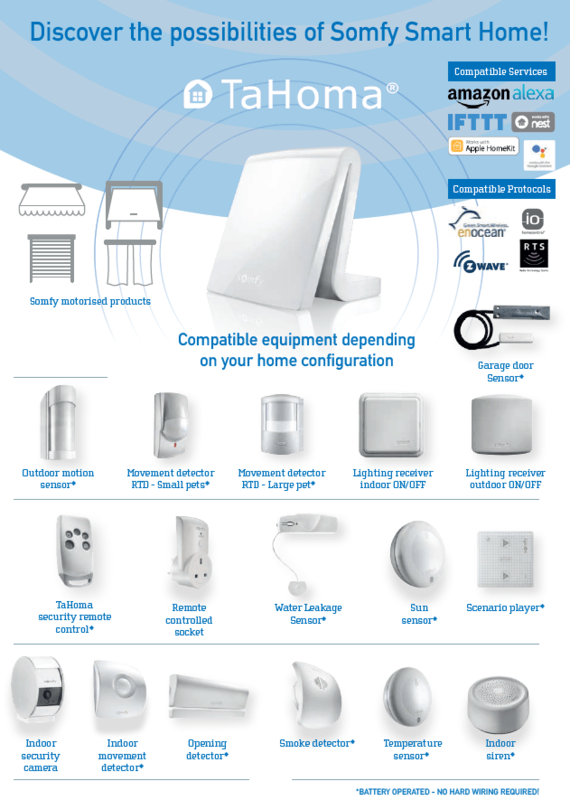 The guarantee period for electric operators excludes batteries, fuses and light bulbs. 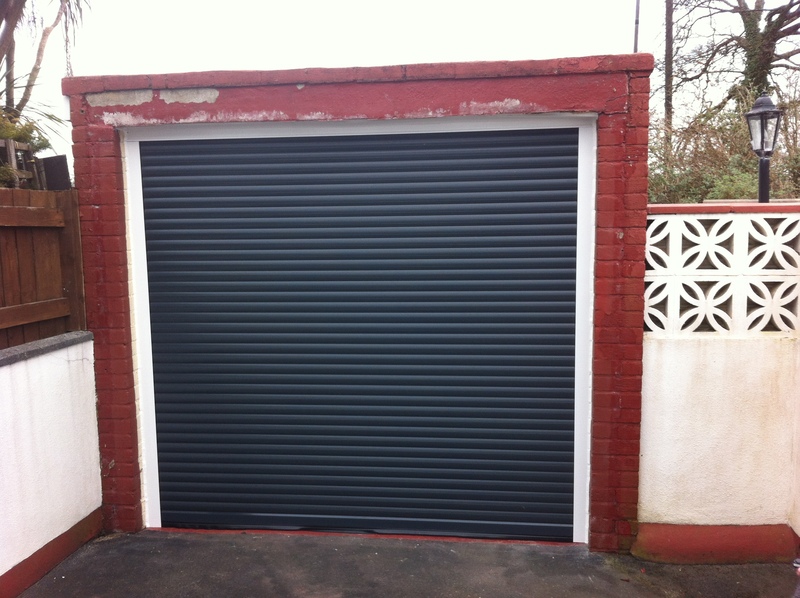 Parts replaced free of charge become the property of AlluGuard Doors Limited. 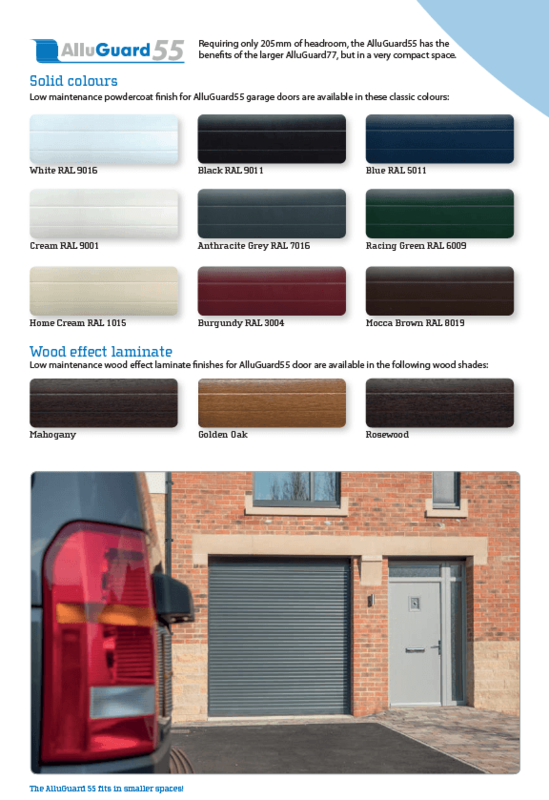 AlluGuard garage doors and associated products are sold subject to the AlluGuard Doors Limited Standard Terms and Conditions of Sale, copies of which are available upon request. 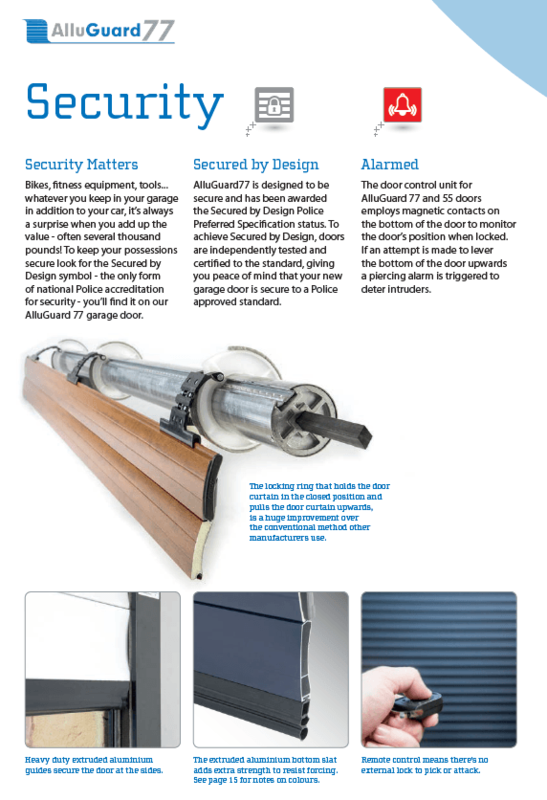 AlluGuard Doors Limited shall not be liable as a result of any representation, implied warranty or other term or condition or for any consequential loss or damage, costs, expenses or other claims whatsoever except as expressly set out in these Terms and Conditions of sale.